Years ago, a dedicated Dizzy Pig fan from the Austrian Alps (whose family has been into sausage making for years) sent a recipe he developed using one of our Dizzy Pig blends. Chris made up a batch and was blown away with how good it was. For being such a simple recipe, the flavor is amazing and great for breakfast, appetizers, sides or to use in another dish. 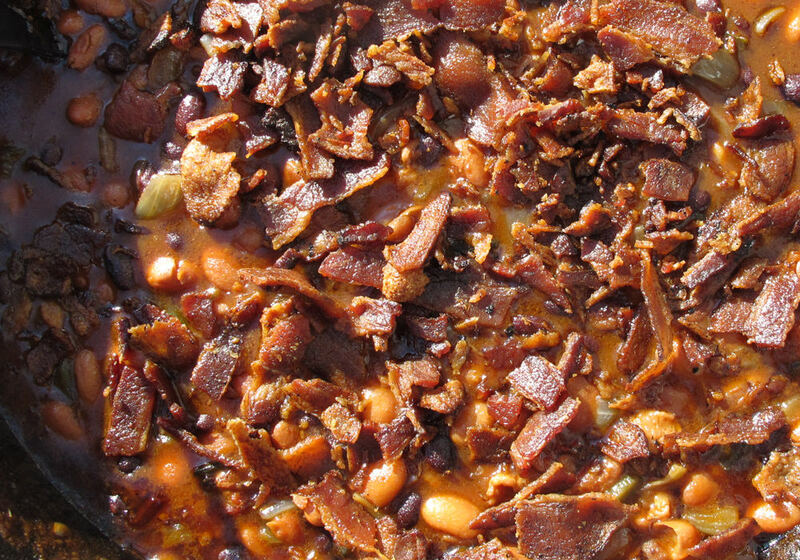 The Dizzy Pig team has won awards at sausage contests using this recipe, and it really opened up our eyes to the potential for Dizzy Pig seasonings to elevate all sorts of sausage recipes! When we make sausage, we aren’t making cured sausages, and we don’t even go through the process of stuffing casings. We find it more fun to make small batches of FRESH sausage, and prefer to form the sausage into patties or fatties. A great flavor can be achieved by the browning of the surface of the meat, and we don’t have to mess with casings. Pork is the go-to meat for “sausage” to most people. And for a good reason! There are lots of fatty cuts of pork, and fat is your friend when it comes to making sausage. We have found that utilizing less than 20% fat can yield a dry and unappetizing sausage. But really, just as long as you have some fat, any meat can be used…chicken, lamb, beef, venison, even seafood. 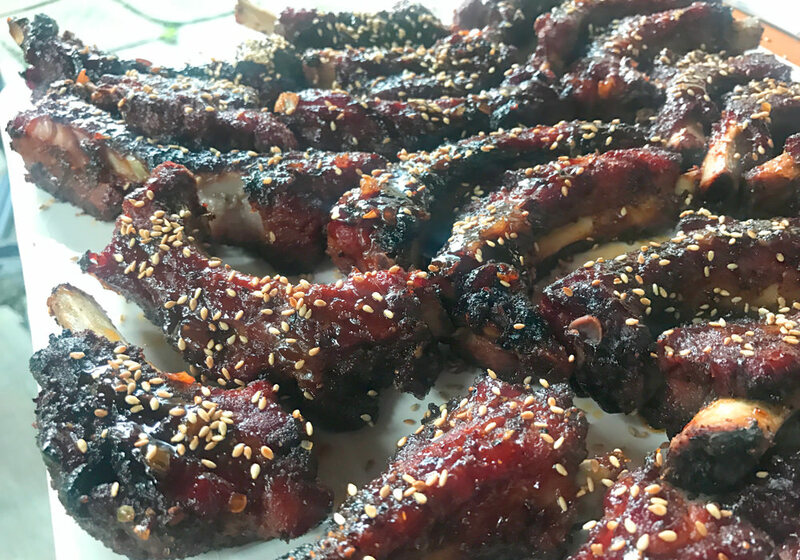 When we are out on the BBQ trail competing, we end up with a lot of pork trimmings from both pork shoulder and spare ribs. Both are perfect for sausage, and the rib meat really has a great flavor and texture. There are quite a few options available for getting your meat into a form that you can work with. Dedicated meat grinders are not too expensive if you stick with one of the consumer models. If you have a mixer, attachments are usually available to turn your mixer into a grinder. We have a Kitchenaid attachment, and it works well for grinding smaller batches (5 pounds or less). Most grinders come with a coarse and a fine plate. The finer plate, as you may expect, yields a finer and denser grind, and the coarse plate a larger more airy grind. Generally we always start with the coarse plate. A decent sausage can be made with a single coarse grind, then mixing in the ingredients and forming patties. Take it a step further by running through the coarse plate a second time after the ingredients are mixed. Conversely, for a tighter, denser result, run the sausage through the fine plate after mixing in your ingredients. Whatever you do, it pays to work with very cold (even partially frozen) meat. 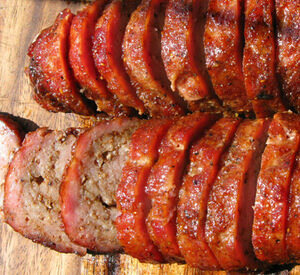 Chris has done several successful variations of Raging River Maple Sausage. But this year, Chris got a little crazy in the test kitchen and came up with some creative and tasty concoctions. We hope you enjoy! Form into patties, fatties or stuff casings. Chris has done several successful variations of this, including subbing Red Eye Express for the Raging River, or swapping maple sugar for the syrup, and adding a little salt. In a large skillet over medium heat, melt butter and olive oil. Add the onions, reduce the heat to low, and cover. Let steam for 10 minutes, stirring occasionally. Uncover and continue to cook onions, stirring occasionally, until deep brown. Let cool.